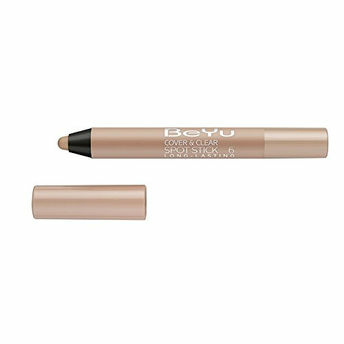 Hide blemishes as if they never existed with BeYu Long-Lasting Cover & Clear Spot Stick. It is an anti-inflammatory cover and spot prevention stick in one that gives clear and even skin. It effectively covers redness and unevenness with green pigmentation. Light peeling effect on skin. Natural effect - also well suited to men. With anti-inflammatory and disinfecting salicylic acid. Durability of up to 6 hours. Alternatively, you can also find many more products from the BeYu Cover & Clear Spot Stick Long-Lasting range.